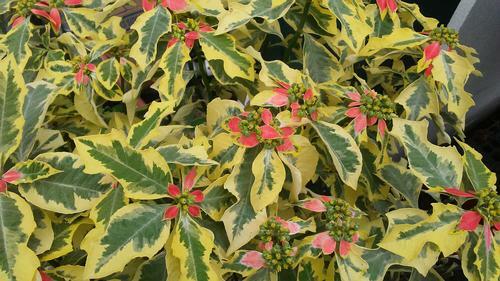 You might not believe your eyes when you see this variegated variety of euphorbia called a summer poinsettia. Cream and green waxy foliage on a very stately upright plant. In cooler temps the upper bracts turn coral. Use in containers for a unique, textural component.